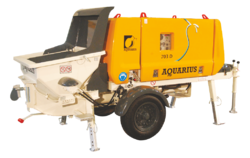 The AQUARIUS 700, 1000, 1400 & 2100 series of standard diesel and electric line pumps has been the most preferred choice of the customers for the last 12 years. For further details contact us . - Worldwide 'S' -Valve technology for concrete pumps. 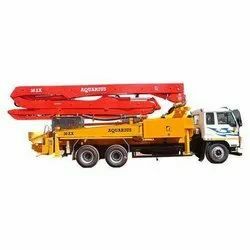 The AQUARIUS 700, 1000, 1400 & 2100 series of standard diesel and electric line pumps has been the most preferred choice of the customers for the last 12 years. With over 1000 pumps in operation, it has left its mark on most of the prestigious projects in India as well as abroad.